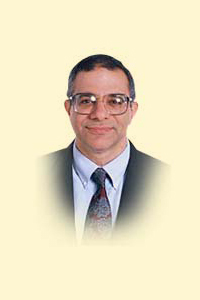 Joseph S. Kashi has been practicing law in Broward County, Florida since 1976. For the first twenty years of his career, Mr. Kashi was an insurance defense lawyer. Insurance companies would hire Mr. Kashi to defend their policyholders when they were sued by someone else. Insurance companies would also hire Mr. Kashi to defend the insurance companies when they were sued by their policyholders. In addition, self-insured corporations would hire Mr. Kashi to defend them when they were sued. Mr. Kashi handled product liability cases, medical malpractice cases, legal malpractice cases, construction accident cases, motor vehicle accident cases, slip and fall cases, general liability cases, insurance coverage cases, and insurance bad faith cases. His clients included Ford Motor Company, American Motors Corporation, Chrysler Corporation, Wyeth Laboratories, Caterpillar Tractor Company, and major insurance companies. In 1993, Mr. Kashi reached a turning point in his career when he was called upon to represent a husband and wife who ran a family owned business that was crippled by Hurricane Andrew. The couple had business interruption insurance coverage that should have provided them with the funds they needed to keep their business in operation. Although the insurance company eventually paid what it owed, it took one year to do so. By that time, the couple had gone out of business. As Mr. Kashi would say, “It was like waiting to give a blood transfusion after the patient already died.” Mr. Kashi and his two partners sued the insurance company for bad faith and obtained a life altering result for their clients. From that point, representing individuals and businesses who were victimized by insurance companies became the passion of his career. Specializing in trial and appellate law in the fields of insurance and tort law with an emphasis on insurance coverage and bad faith law. Sperry, Shapiro & Kashi, P.A. Conrad, Scherer & James, P.A. Member of the firm. Specializing in trial and appellate law in the fields of insurance and tort law, including personal injury, product liability, professional liability, insurance coverage, and insurance bad faith.